This week on The Rise & Thrive OSJ Radio 📻 Hour Saturdays 9:05 a.m. on The Eagle, KZLS 1640AM or listen in on the OSJ app and website “Home Page” anytime! 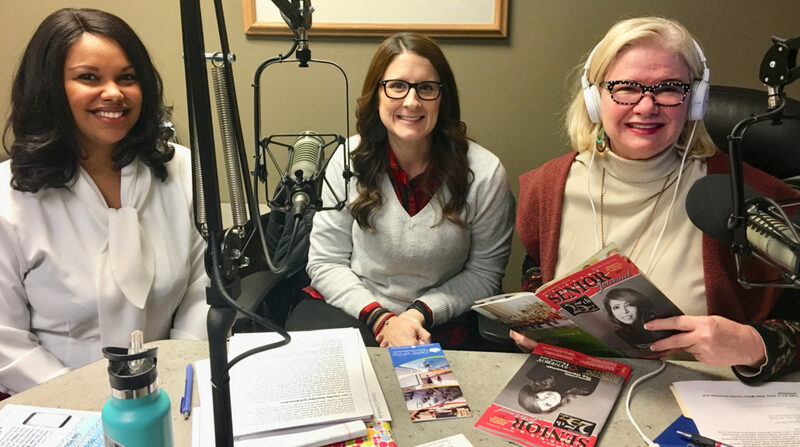 In-studio guests: Kristin Hersom with Pete White Health & Wellness Center for the 50-Plus and Kaitlynn Wilkinson with NorthCare. Kristin Hersom, Facility Director for the Pete White Health & Wellness Center has spent her career in the not for profit world promoting healthy living and developing programs to increase the overall quality of life for all ages. She graduated from the University of Central Oklahoma with a Bachelor’s of Science degree in Kinesiology and Health Studies. She is devoted to serving the community and making the Pete White Health and Wellness Center the premiere center for the actively aging. Kaitlynn Wilkinson, MSW is the Communications Specialist for NorthCare. She has a background in psychology, social work research and policy analysis, and has presented at state and national conferences. Kaitlynn is passionate about understanding and addressing systemic issues that create and sustain poverty, reducing stigma against individuals with a mental health and/or substance use disorder, criminal justice reform, and creating effective systems to promote social justice and progress.